Citywide was able to come in with a competitive quote and was able to start work much faster than other bidders. Not only that, but they heeded our request to push it forward so it would be done before the new year, even working over the holidays. The project finished on schedule and the patio is re-sloped and sealed beautifully. replace posts and some beams, flashing moldings'. Very prompt, reliable, kept within budget, demonstrate quality workmanship, easy to get a hold of and clean up well. 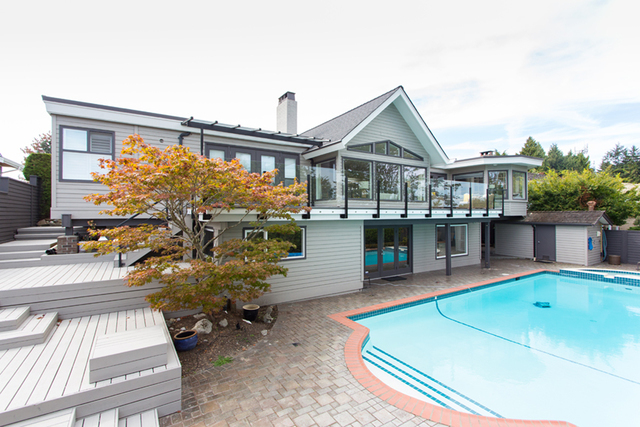 We purchased a gut-reno home in West Van that has 2nd & 3rd floor balconies plus a suspension bridge entryway. Within 2 years of purchase, the glass railings on both balconies and entryway had come dangerously loose due to the original contractor’s improper installation of the waterproofing membrane. We had another well-reviewed patio installation company give us an estimate of $40k to remediate the balconies alone which we thought was too expensive. We called Citywide to give us another reference estimate. We were immediately impressed with Paul’s willingness to get down on his knees and dig into the crux of the issue. His experience and expertise was evident from the initial consult and we were pleasantly surprised to find Citywide’s quote to be basically the same as the first patio company BUT Citywide’s scope including the repair of tthe balconies and front entryway. Thank for the great review! Great service, fair price, professional quality. These guys won’t steer you wrong. Always very pleased with their product. Thanks for choosing Citywide and thanks for the great review, Grant! A deck off of the back door of our house which needed resurfacing - the old wood had rotted. Citywide did a good job rebuilding the deck, and everything would have been great except for one detail - the screws on the deck surface were supposed to be covered by caps to provide a seamless surface and keep water out of the holes, but were not in stock at the time. I was told that they would be added a couple of months later, but a year later there is no response from citywide to my email, and the work was never completed. Glad you are happy with the composite porch. Sorry for the delay in the screw caps. No excuse – seemed to have been forgotten. I Will make sure Jonathon stops by this week to finish install. We hired Citywide Sundecks to rebuild our 40 years old sundeck. 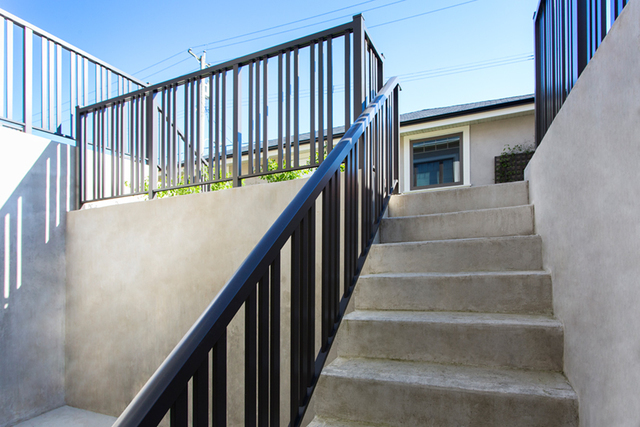 We selected Duradek vinyl to replace the old fibre glass membrane, replace the old wooden sundeck railing with aluminium railing and rebuild the old wooden staircase. Paul provided us detailed information and quotes on the whole project work. Citywide started the project right on scheduled date. Their project crews were very efficient, courteous and experienced. We had a minor problem with the slope of the sundeck. Paul sent the crew back immediately and fixed the problem accordingly. The project was completed on time and without any unexpected cost. Paul came in at the end of each project phrase and inspected the work himself. We are very satisfied with Citywide. Bill, thank you for taking the time to leave us all a review. We appreciate you choosing Citywide and we're glad that you were so pleased with our crews and our work. 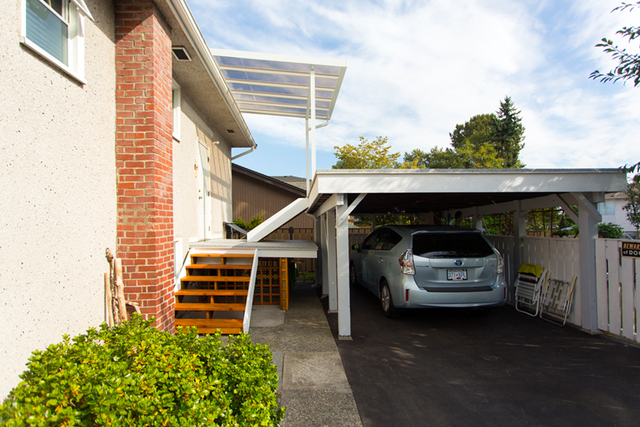 The team at Citywide Sundecks impressed us from start to finish! From Paul's patience and willingness to design a deck that fit both our needs and our budget to Jonathan's precise and detailed construction, Citywide exceeded our expectations and was an incredible company to work with! They were quick, reliable, and always available for questions day or night. Construction started on time and finished ahead of schedule - it was exciting to see the progress after each day of construction and even more exciting to sit and enjoy our first drink on our newly built deck. We are so happy with the deck that Citywide built and recommend them 100%! Thanks so much for your great review! We're so glad you're already enjoying your new deck. Paul and the Citywide crew were professionals. From the first visit to the final project completion we were kept in the loop. Paul did everything he said he would and the quality of the work was first rate, completed as promised and on-budget (all extras, which we requested, were quoted and approved by us in advance). I recommend Citywide. Thanks for the work and for the great review! City wide took the challenge to do the decking on a old house and did an excellent job. 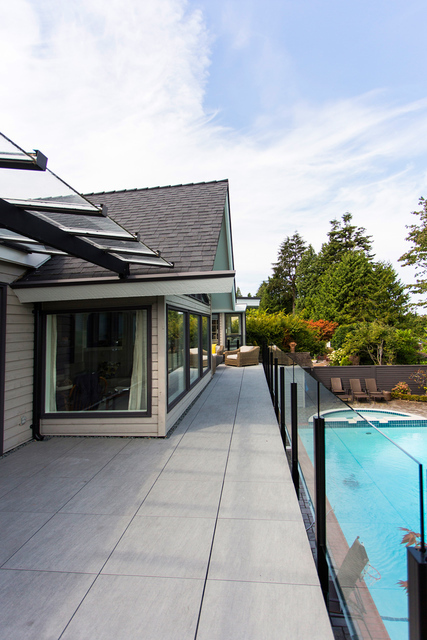 Citywide Sundecks has been providing vinyl decking, composite decking, aluminum railings and other decking solutions in Vancouver BC and the surrounding area for years. We're #Decksperts! 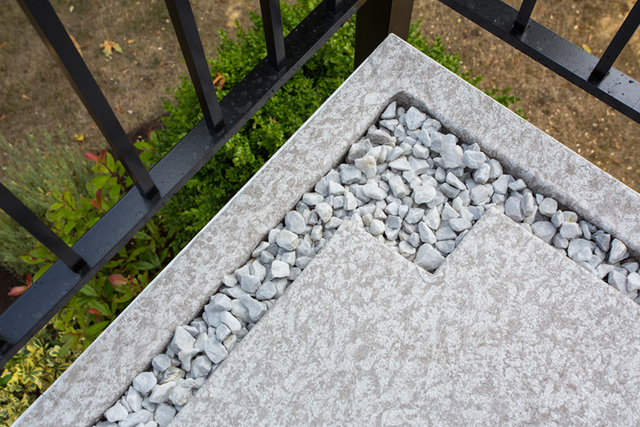 We provide an ideal combination of durability, strength, quality and weathering capabilities. We believe in professionalism, integrity, and communication. Our high-quality work and products ensure that our end product does not peel, rot, flake, chip, crack or corrode prematurely. Our customers enjoy high-quality decking and railings at competitive prices. 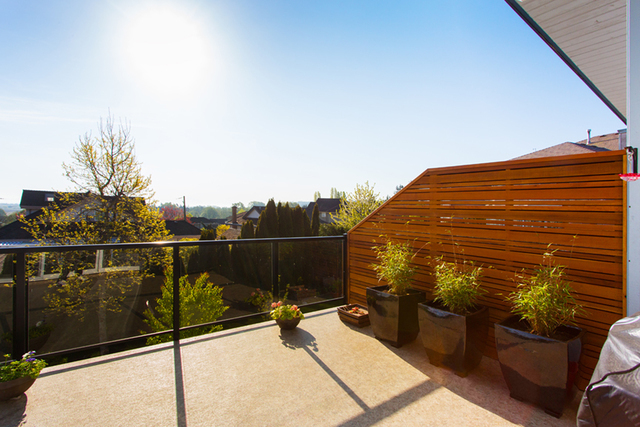 Contact Citywide Sundecks today for more details on how you can save money on the best quality railings and decks in Vancouver. Why Citywide Sundecks? 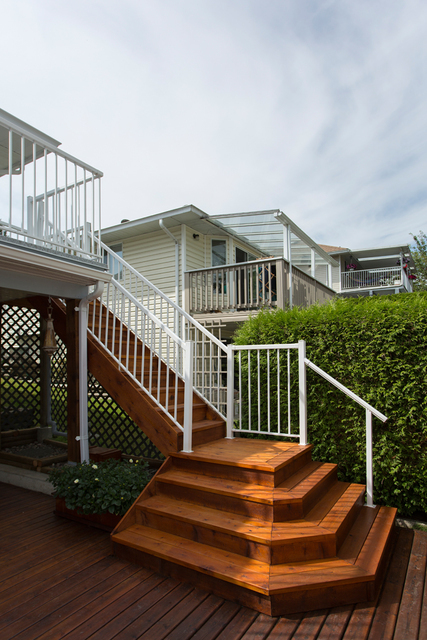 Save money on railings and decks in the Lower Mainland. Extensive experience in offering decking solutions. Top Duradek installer and distributor in the region. Excellent product quality for safety and durability. The latest styles in decks and rails to satisfy every preference. 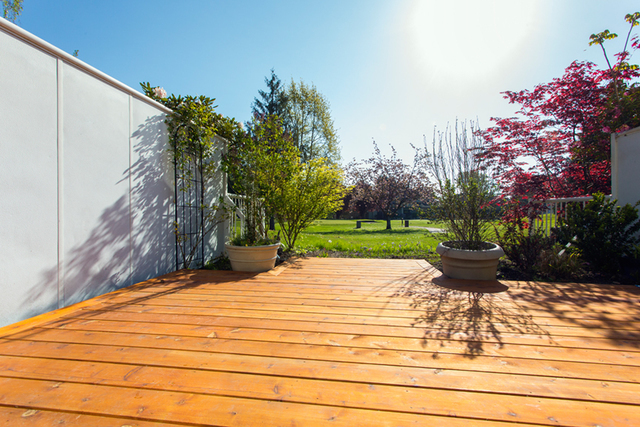 A variety of options for deck construction or renovation. Duradek, Timbertech, AZEK and more!